Providing the ponderous, skyscraper-scaled thrashing—not to mention the warm holiday cheer of a blast of nuclear fire—that The War On Christmas has so long and sorely lacked, the El Rey network has announced the return of its now-annual Kaiju Christmas marathon. 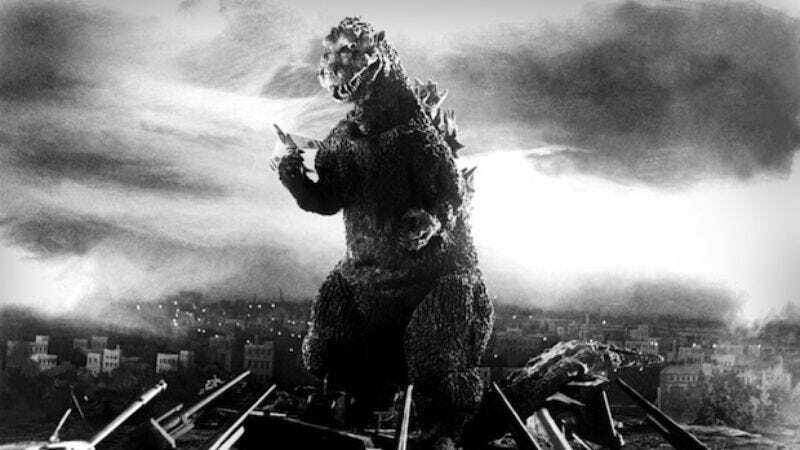 Kicking off on December 24, the Godzilla-heavy smash-a-thon will run for 96 hours over the holiday, taking viewers all the way from the original 1954 Gojira to 2004’s Godzilla: Final Wars (and back again, because there are, unsurprisingly, some repeats in this four-day long tribute to the enduring spirit and poor real-estate choices of the people of Tokyo). Not unlike El Rey’s recent Thanskgiving Day marathon of kung fu flicks, this latest celebration of the Kaijuish faith seems like a pretty great way to hide from your monster-averse relatives over the holiday season. After all, nothing distracts from the passive-aggressive spectacle of Aunt Judy sniffing at your Uncle Roger’s taste in clothes, women, and holiday gift wrapping like the sight of a rubber-suited allegory for nuclear war punching a city-destroying moth in its giant, fuzzy face.